The Drum Search Awards have announced multi award-winning agency Absolute Digital Media as finalists in the Finance and Personal Services category. Absolute Digital Media are being commended for their work on their integrated SEO/CRO campaign for Uncle Buck. As a result of the successful campaign, Uncle Buck have become a leader in the highly competitive online market, holding the prominent position 1 for the keyword ‘payday loans’ for four months thus far. This celebration comes in quick succession after winning the Best Use Of Search - Finance category at the UK Search Awards 2018 and a rebrand earlier this year. Consisting of an expert team who continually execute innovative strategies to achieve profitable results, Absolute Digital Media are in a prime position in the search industry. Absolute Digital Media are a full-service digital marketing agency based in London, Essex and Lithuania. The team’s knowledge and expertise across SEO, PPC, content marketing and more, all enable Absolute Digital Media to deliver tangible results within a spectrum of industries and clients, including charities, B2B and B2C ecommerce businesses. 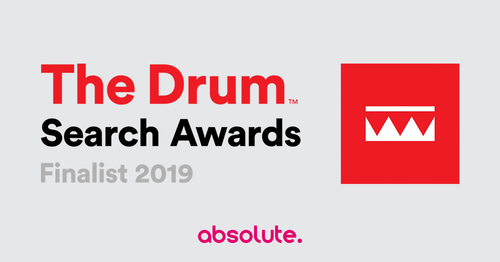 The Drum Search Awards celebrate the very best in the digital media industry, appointing industry leaders to evaluate the strategies and choose the winners. This year the panel is led by the Head of Global Search Marketing at Lego, Luis Navarrete Gomez. The winners will be announced at a celebration held in London on the 4th April 2019. For more information about Absolute Digital Media, Uncle Buck or for press enquiries please contact 0800 088 600.